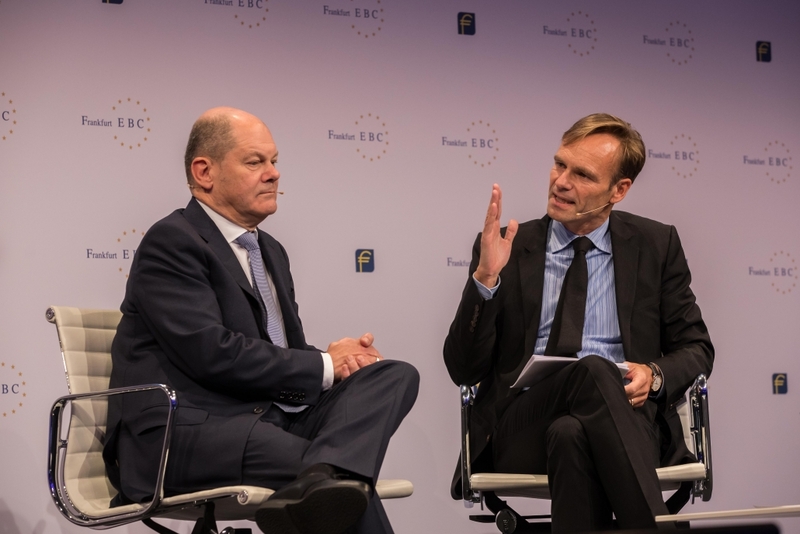 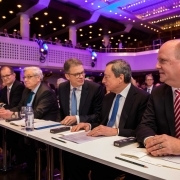 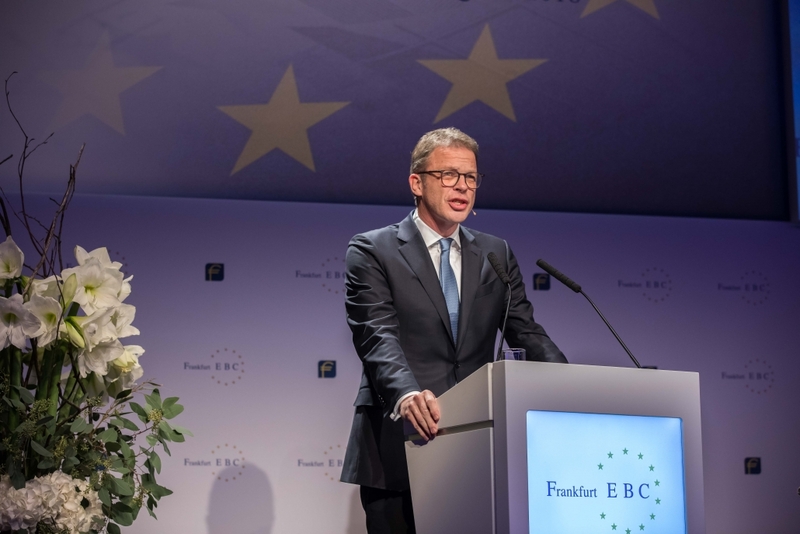 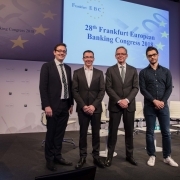 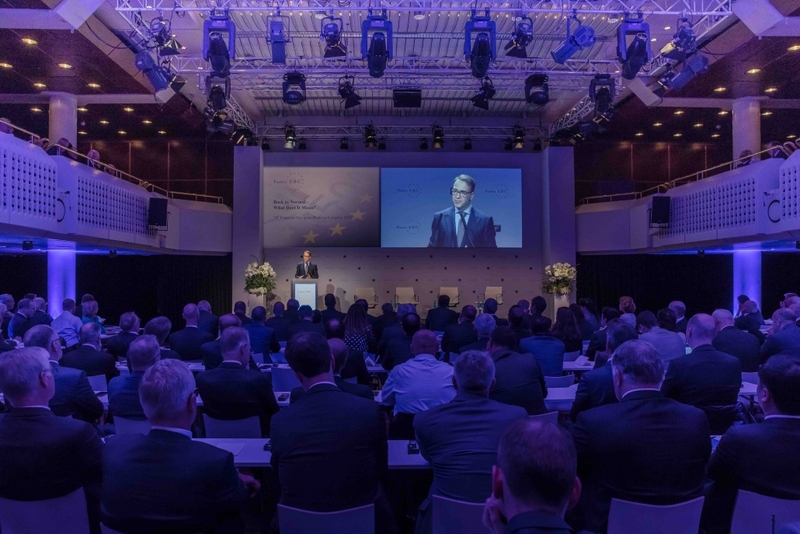 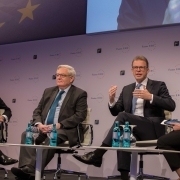 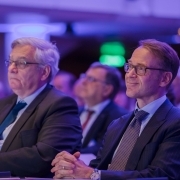 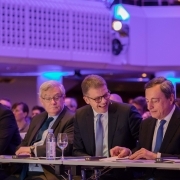 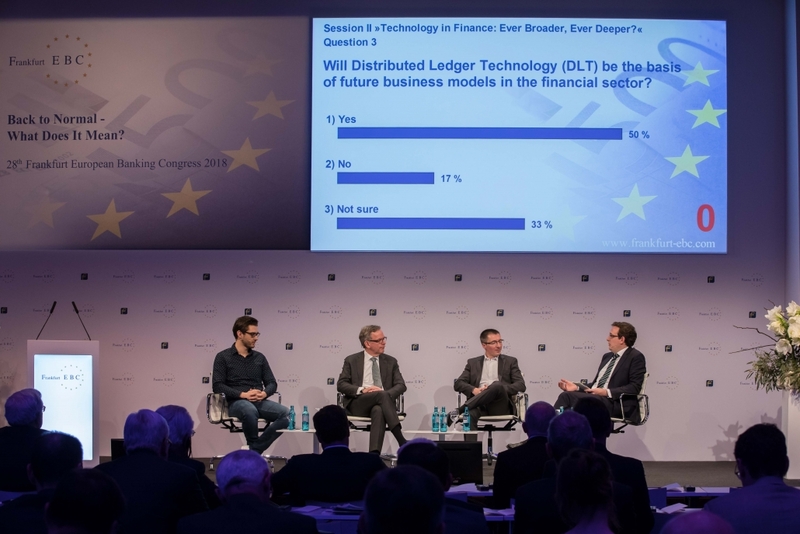 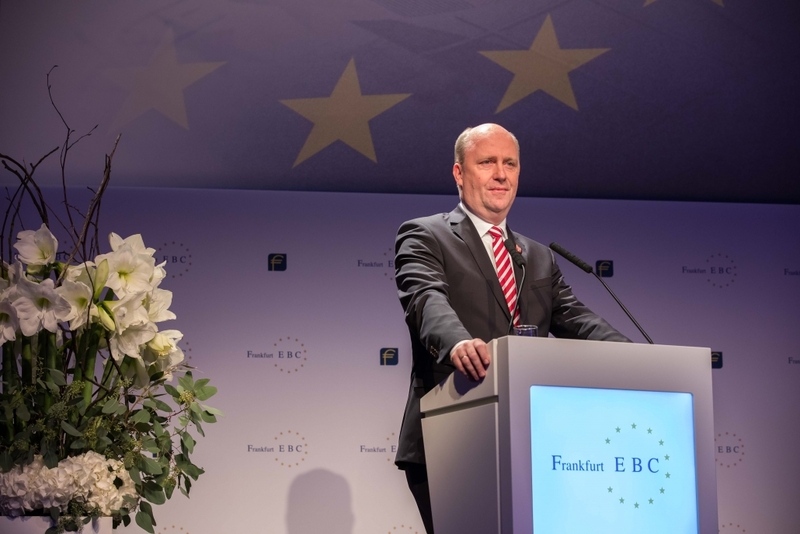 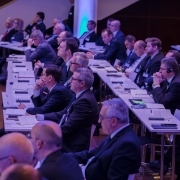 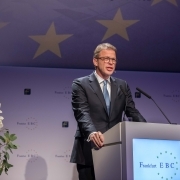 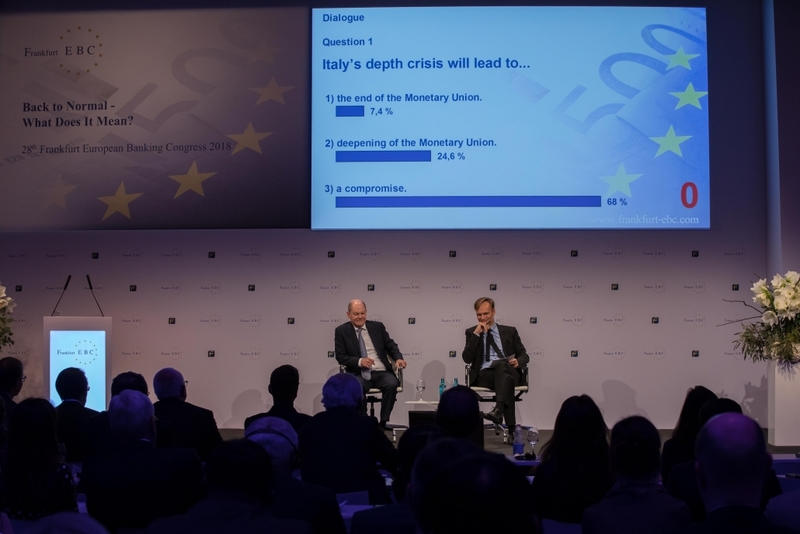 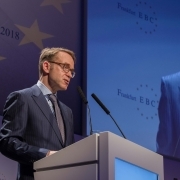 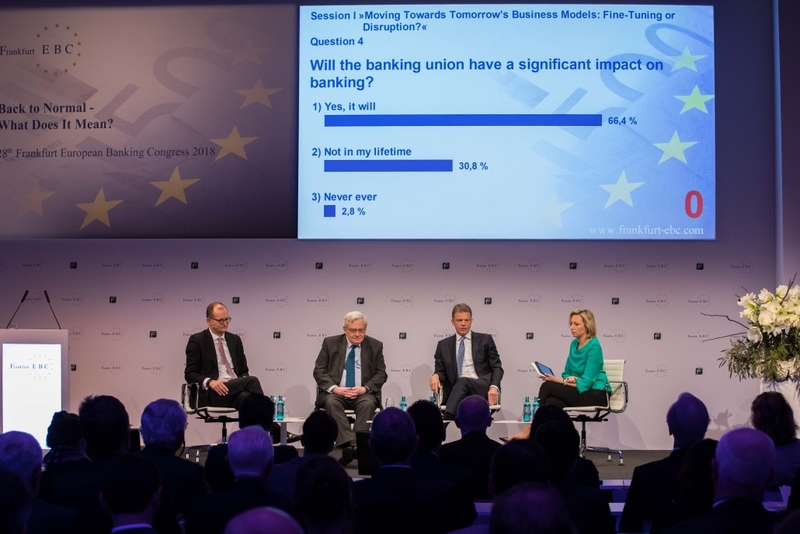 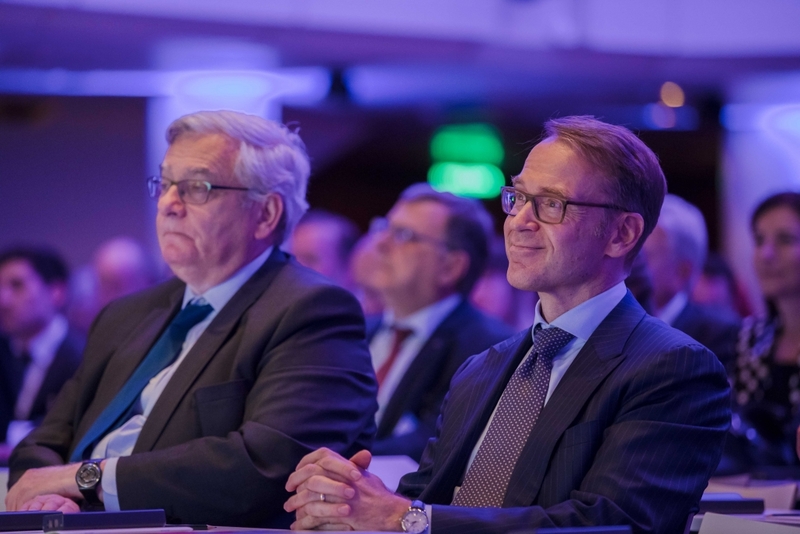 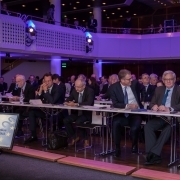 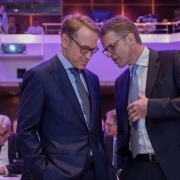 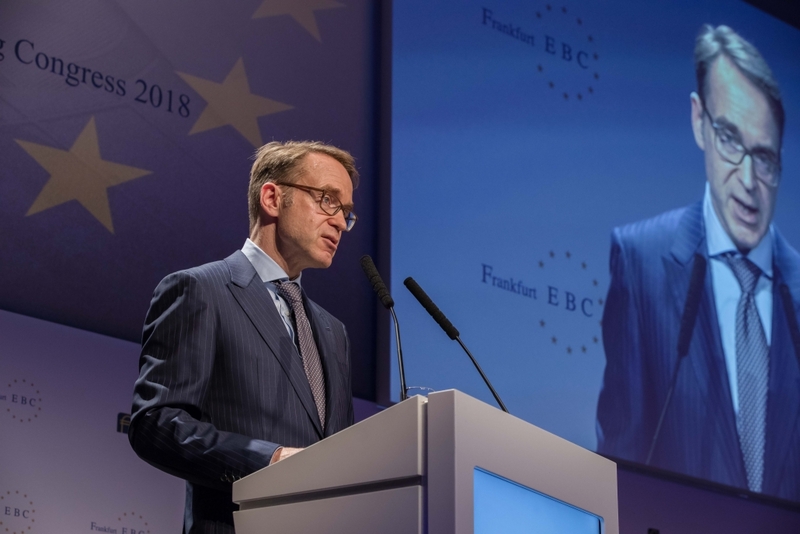 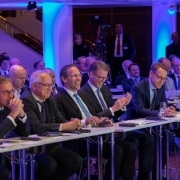 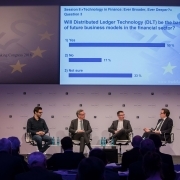 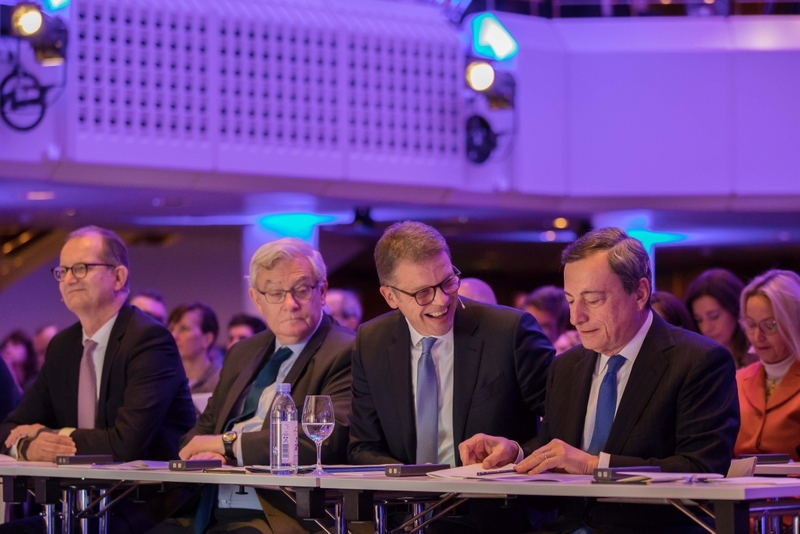 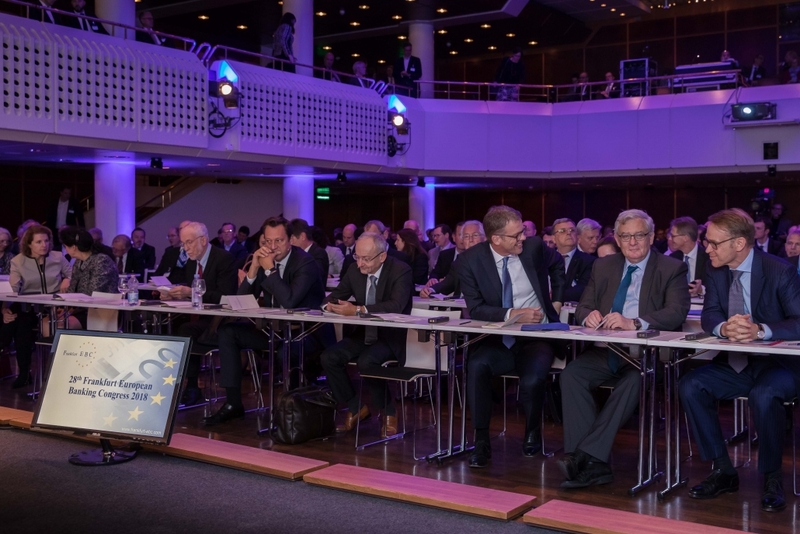 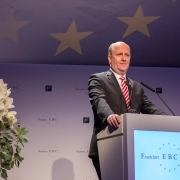 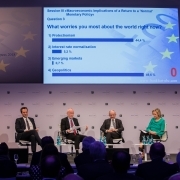 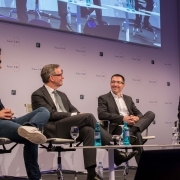 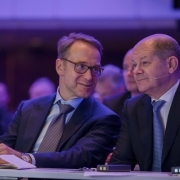 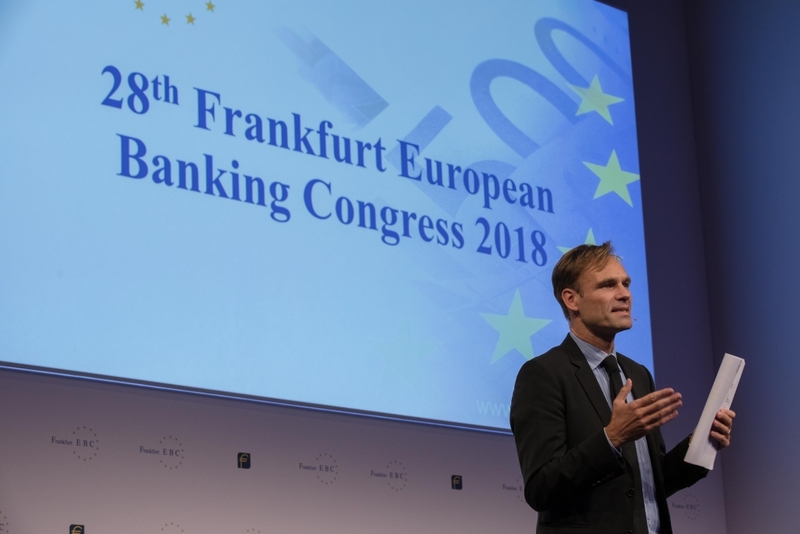 The Frankfurt European Banking Congress (EBC) is one of Europe’s most prestigious congresses in the field of banking and finance. 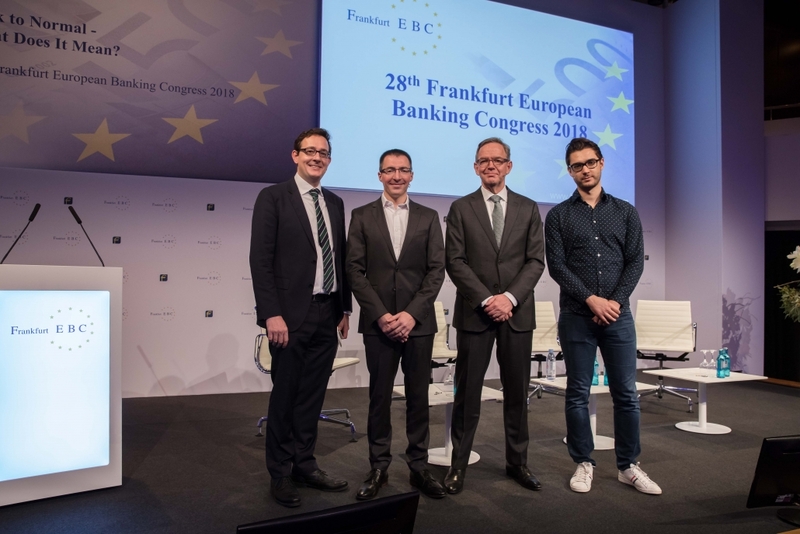 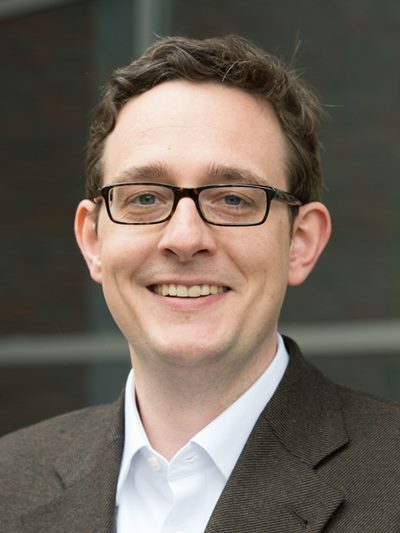 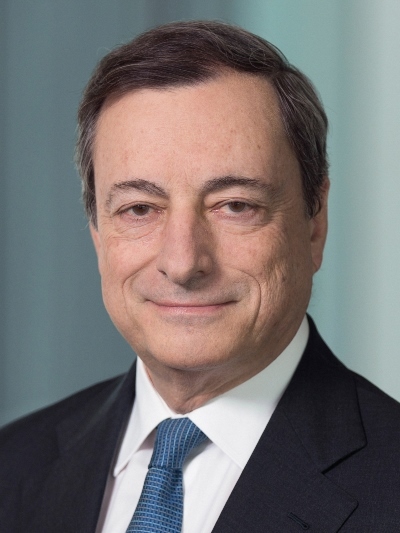 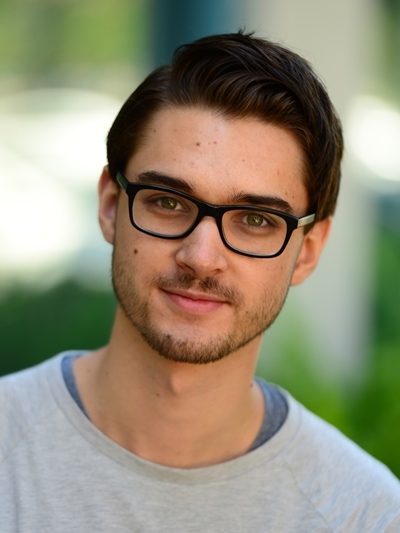 Premiered in 1991 on the initiative of the International Bankers Forum e.V., the congress was hosted annually by Germany’s leading banks based in Frankfurt am Main – Commerzbank, Deutsche Bank and Dresdner Bank – and by the City of Frankfurt am Main from 1992 until 2008. 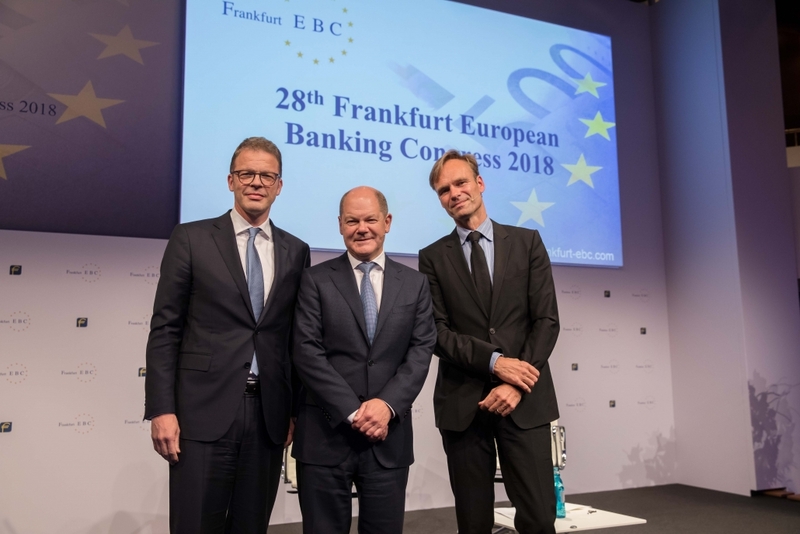 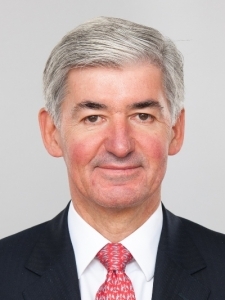 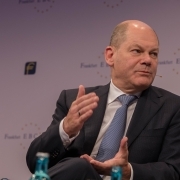 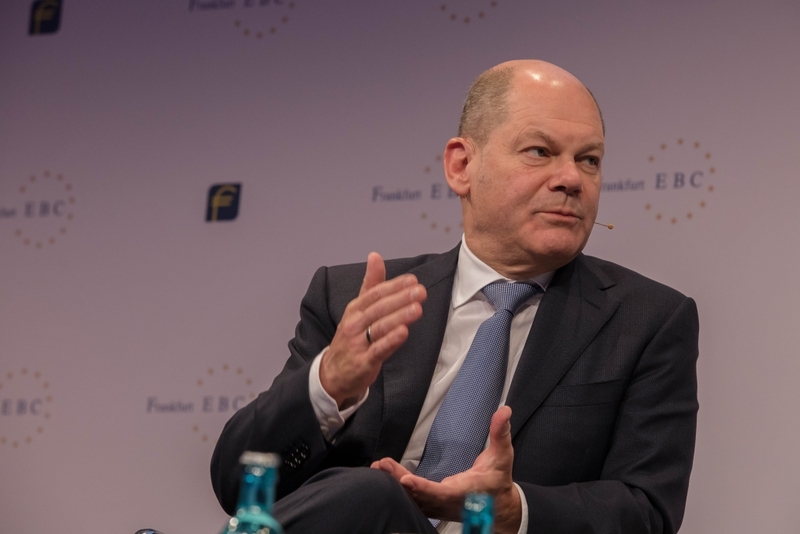 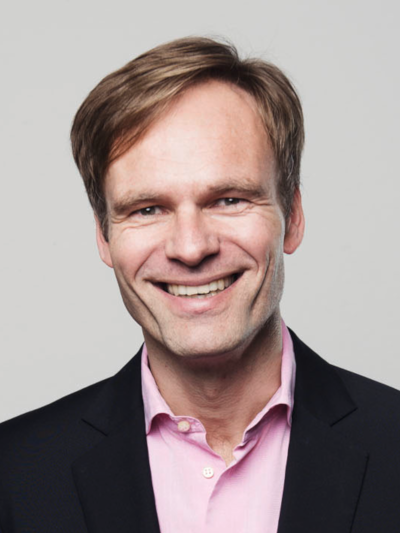 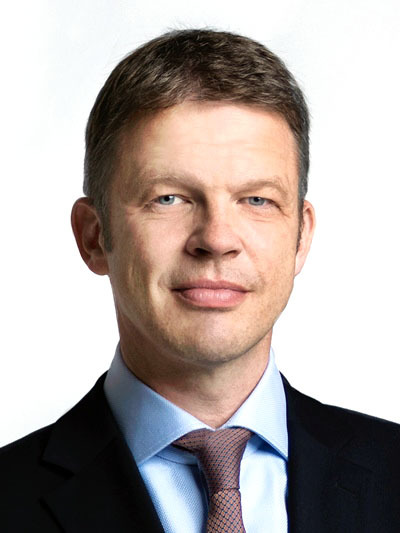 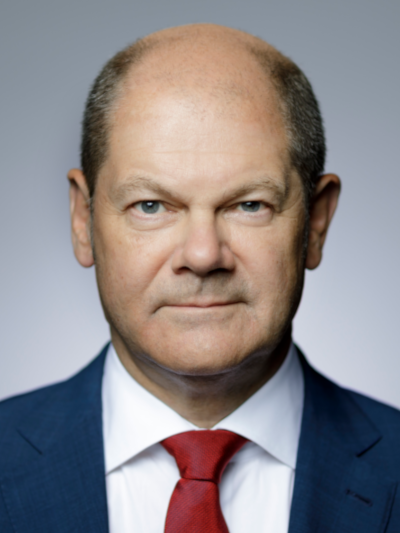 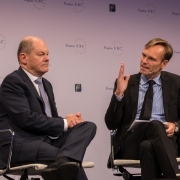 Afterwards, and until 2015, Commerzbank and Deutsche Bank took turns in officially chairing the EBC. 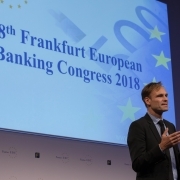 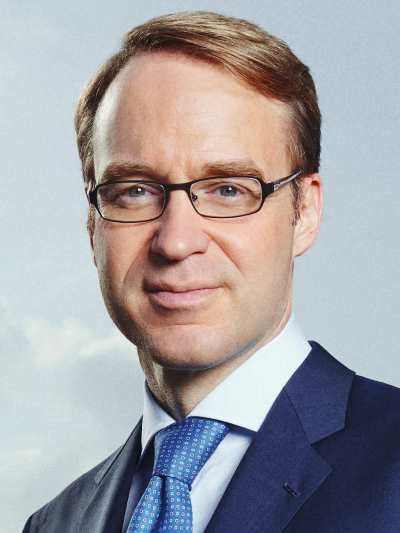 Since 2016, BNP Paribas, Commerzbank and Deutsche Bank have been the co-hosting banks of the congress, with HSBC joining in 2019. 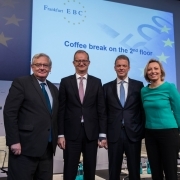 Traditionally, the EBC takes place on the penultimate Friday in November at the Alte Oper Frankfurt. 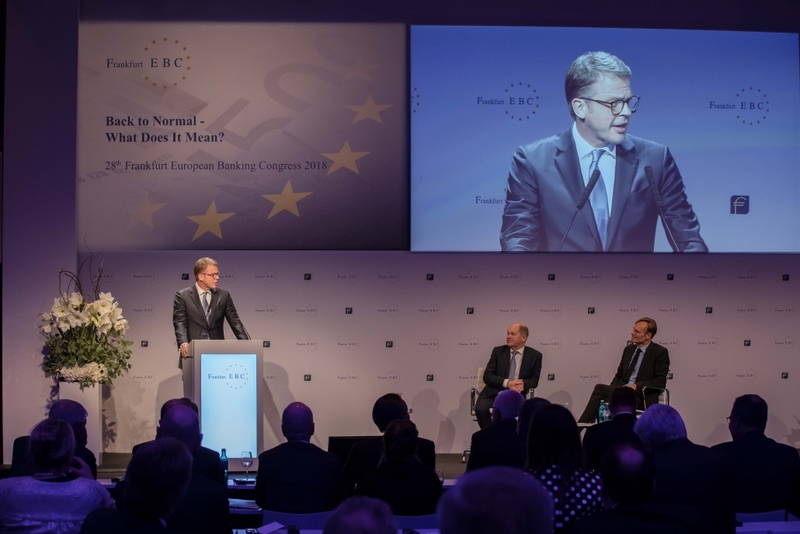 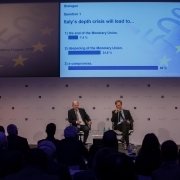 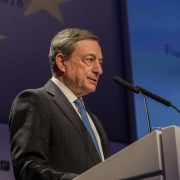 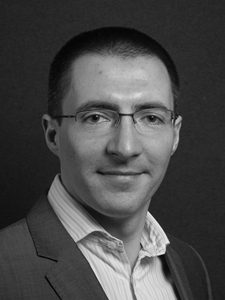 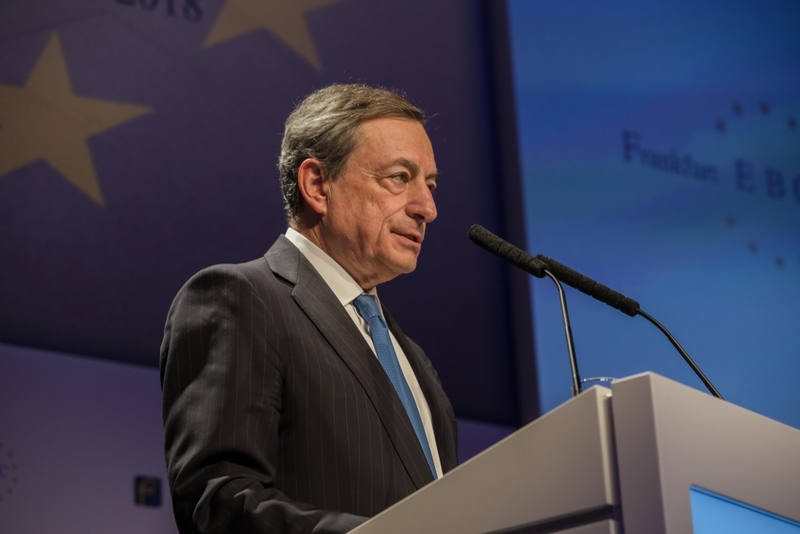 The EBC aims at providing a forum for open and forward oriented discussion of European issues, their role in the world of politics and financial markets. 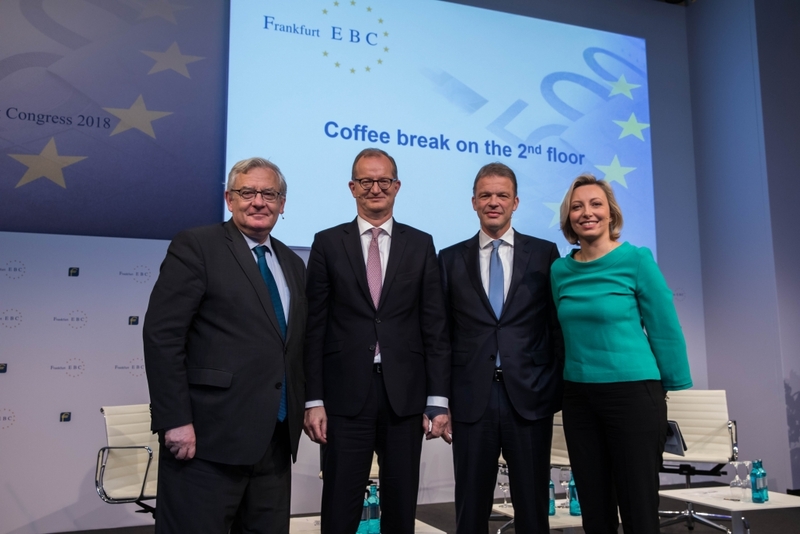 The EBC has become an established meeting place for high level representatives from politics, business, finance, and academia. 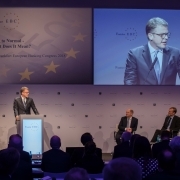 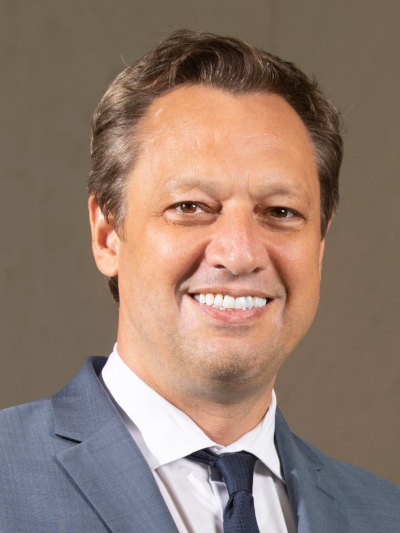 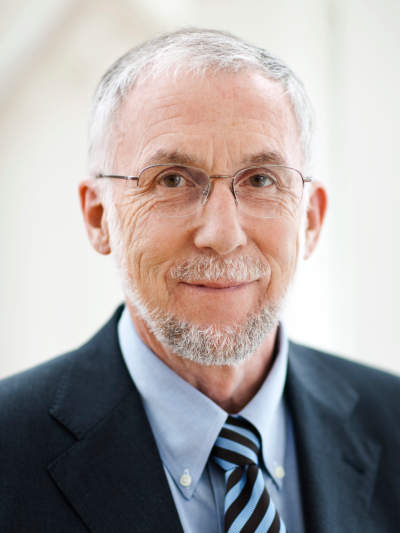 Leading topics and high-level speakers for each year’s event are chosen by the EBC’s steering committee. 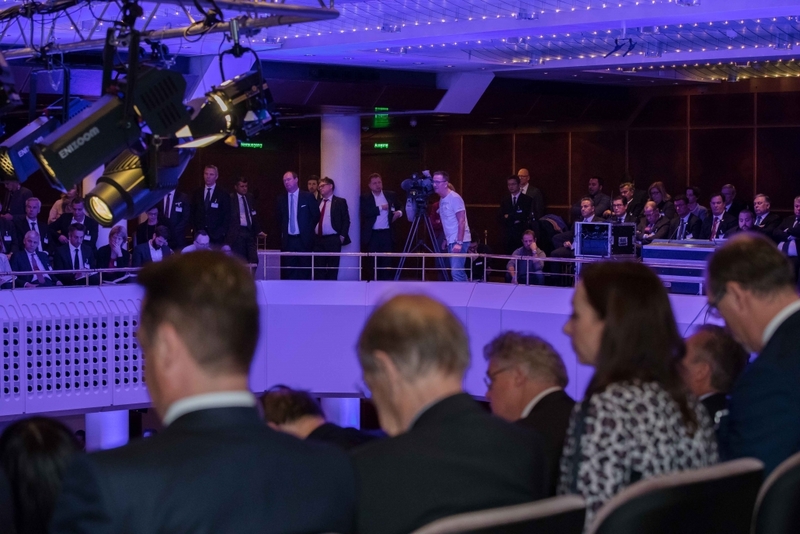 Admission to the congress is personal and by invitation only. 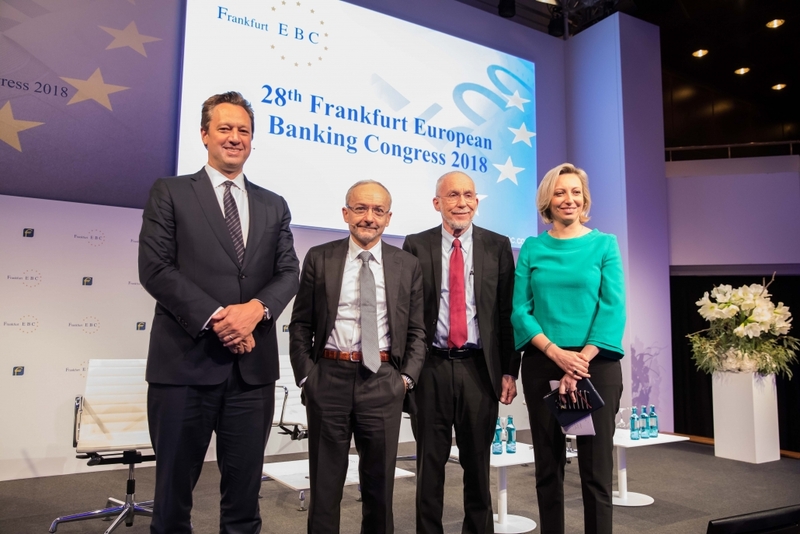 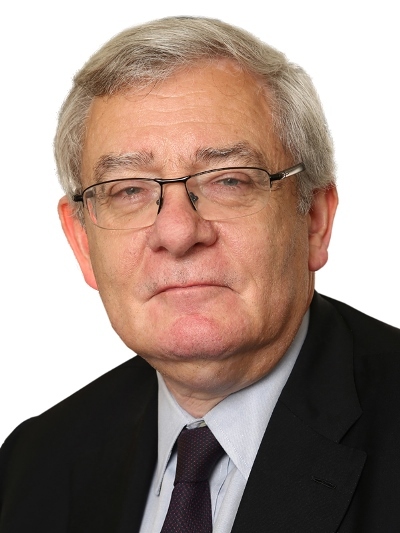 To learn more about the EBC’s history, please take a look at the past years‘ programmes in our archive and consult the EBC’s complete list of past speakers. 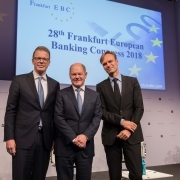 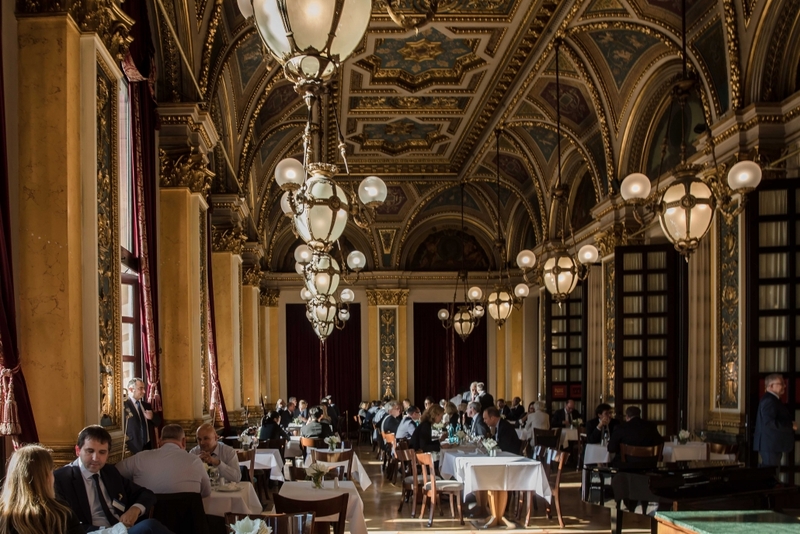 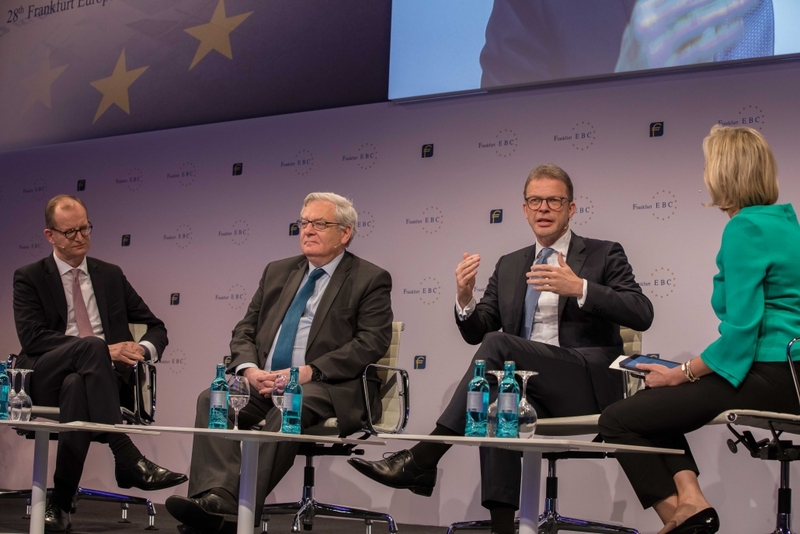 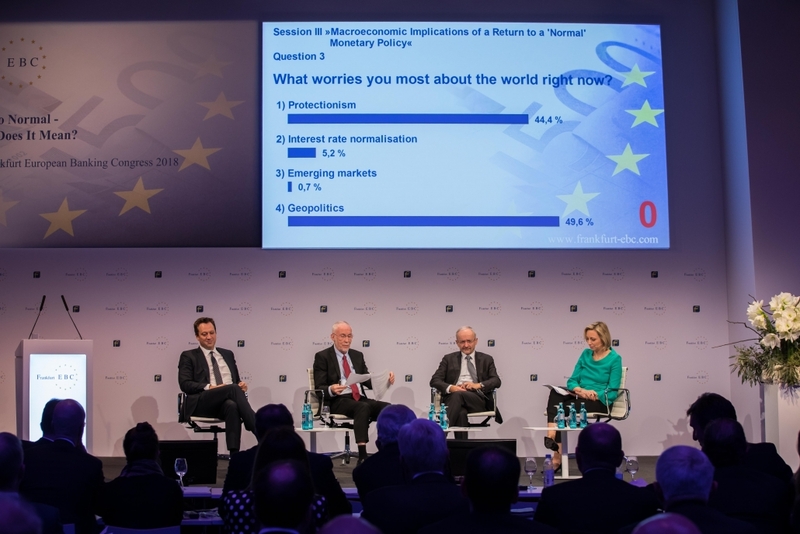 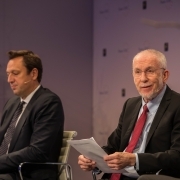 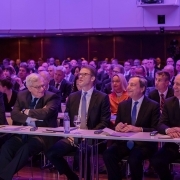 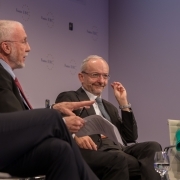 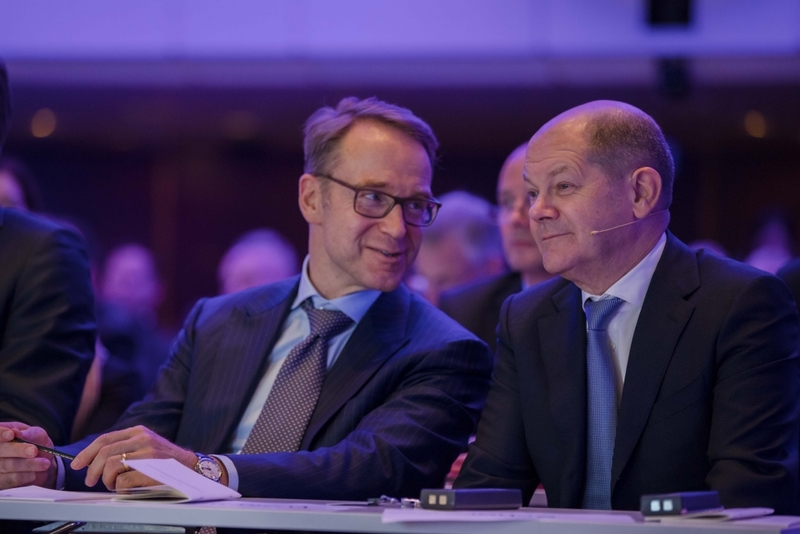 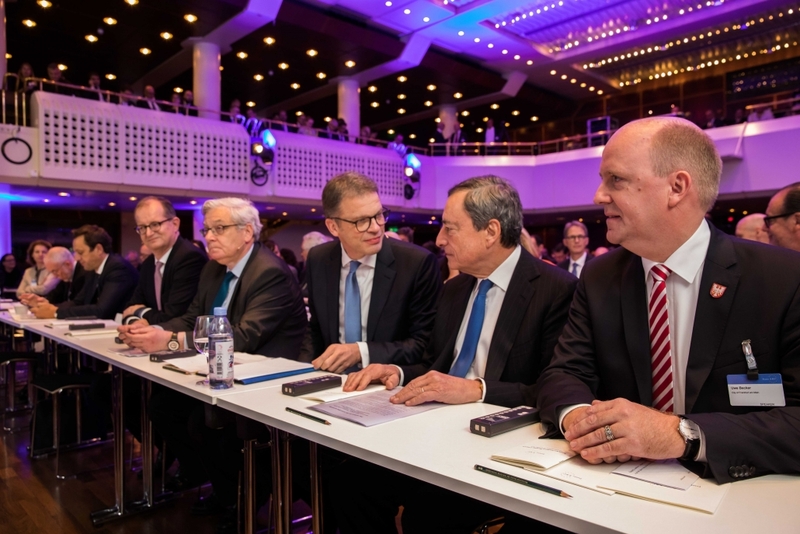 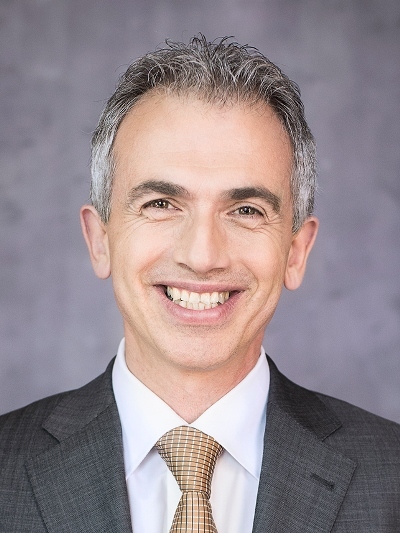 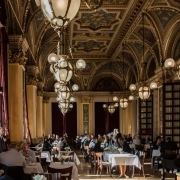 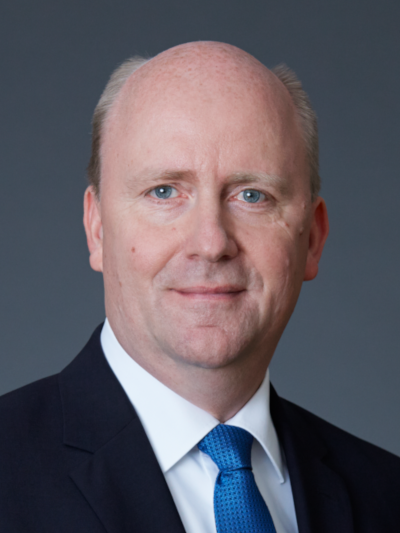 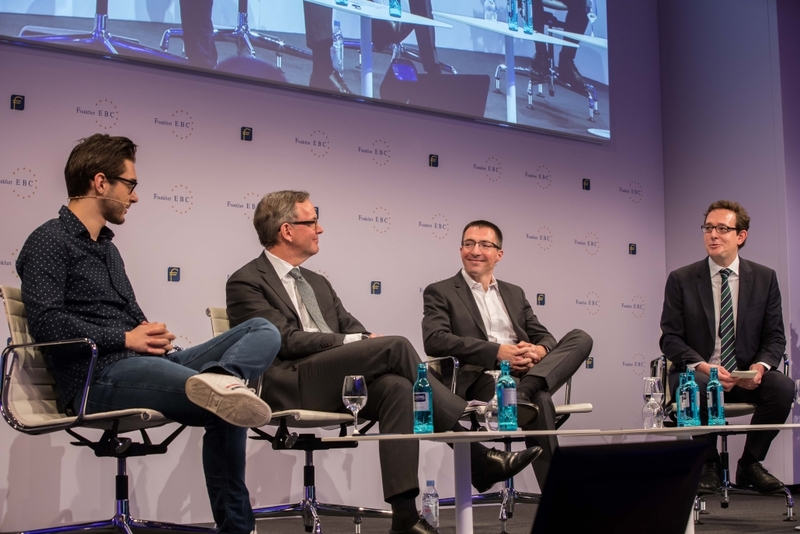 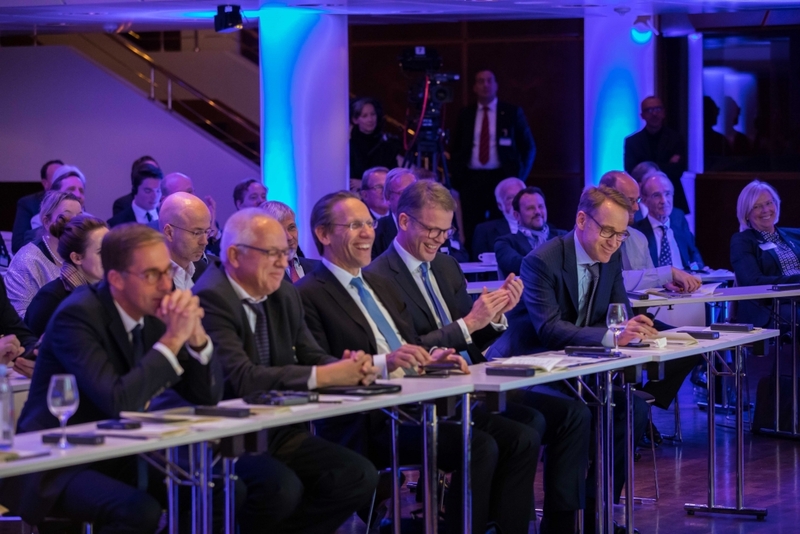 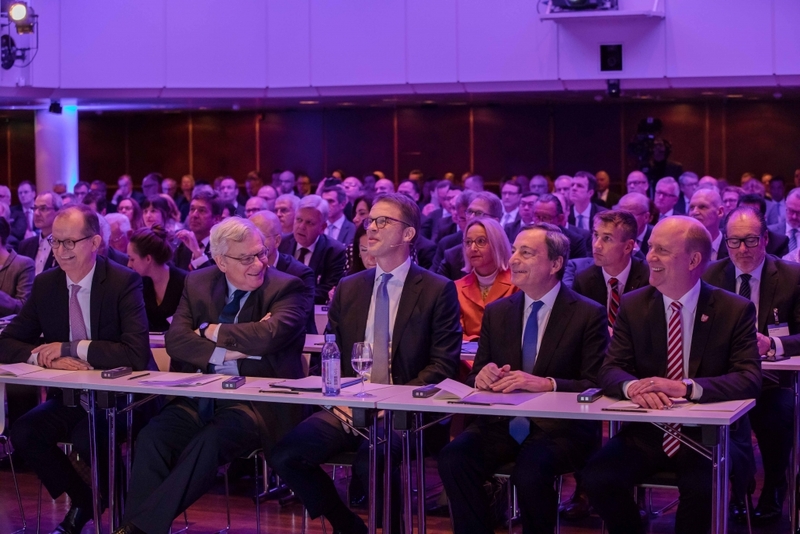 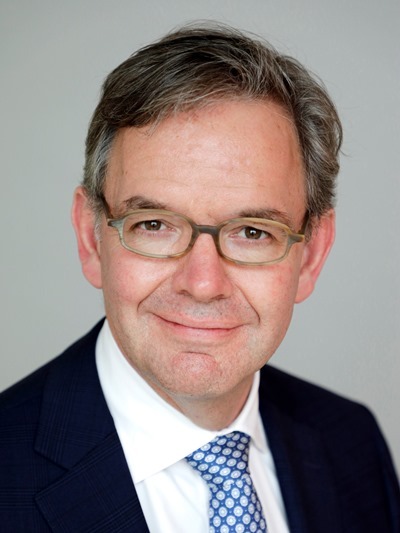 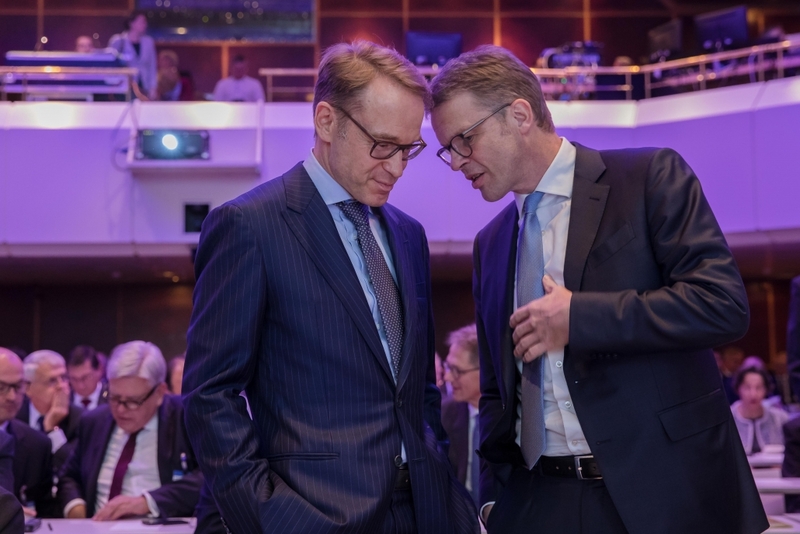 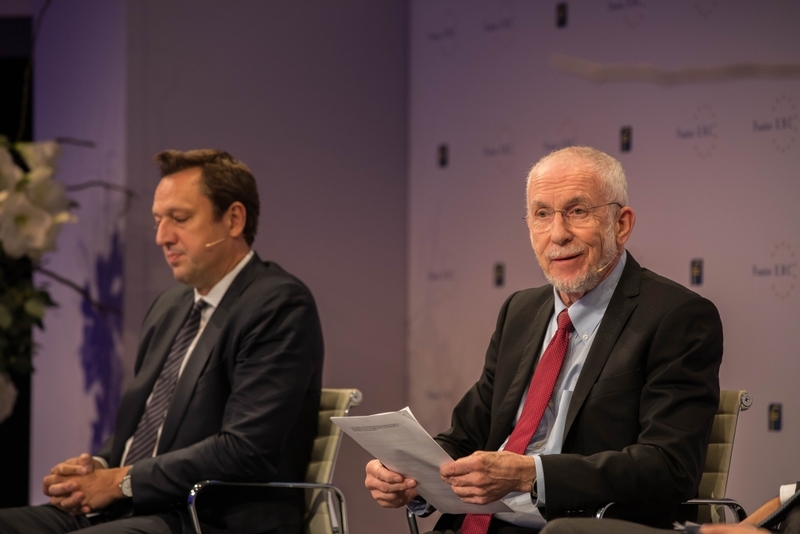 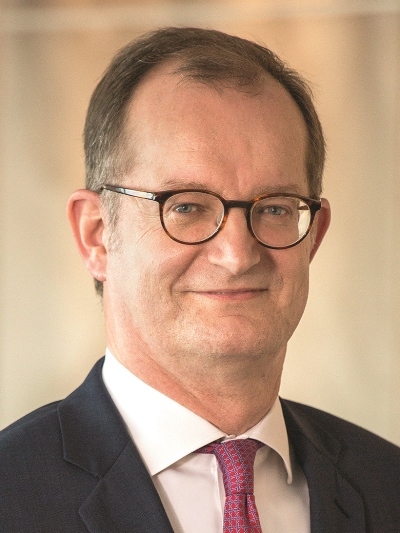 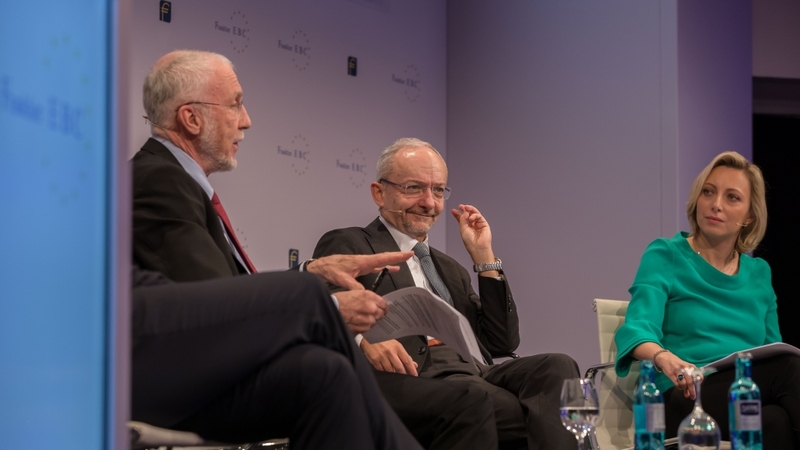 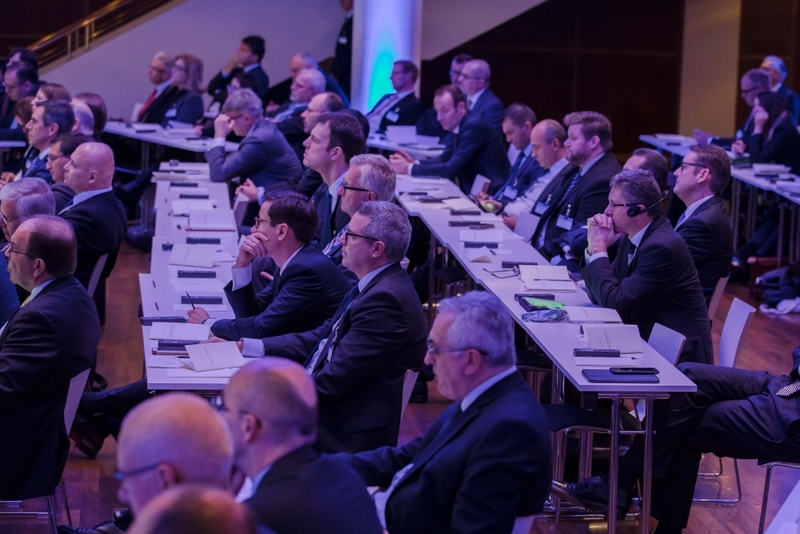 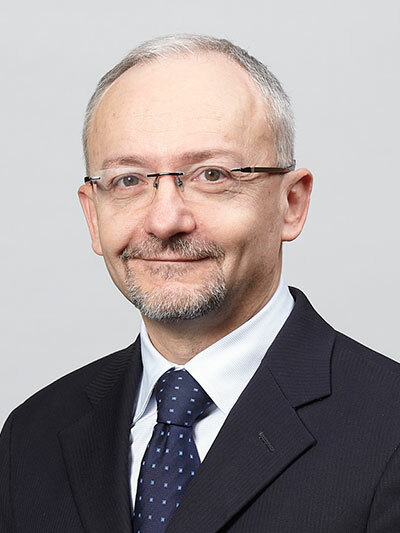 BNP Paribas, Commerzbank, Deutsche Bank, HSBC and the City of Frankfurt am Main host a high-level event for the international business and banking community. 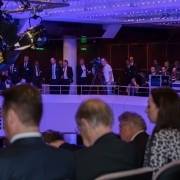 Topics and speakers will be announced in due course.